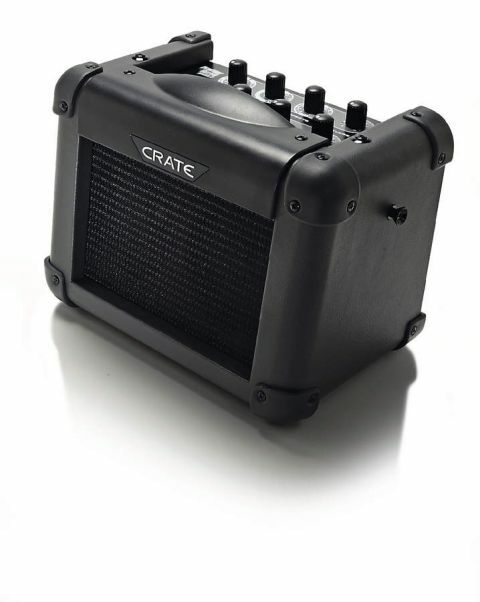 With two four-inch speakers, a full DSP section, battery power and an auxiliary input, this ﬂexible guitar amp is great as a portable practice box, but it doesn't stop there. For the studio musician, this badboy has a USB port on the back, which means you can record the output straight into your favourite software. The unit is quite plasticky but built pretty solidly, and the sound is great for such a small amp, with the twin speakers being a real bonus. On the top of the unit there are rotary controls for different gain proﬁle presets, multiple delay settings, a decent effects selector and ﬁnally a Reverb Amount knob. This is a great ﬁrst guitar amp with enough ﬂexibility to use for some recording. It's worth noting there are even guitar strap mounts on the side of the amp if you ever feel the need to become some sort of wandering busker type.